Italy's second most wanted man who was 'responsible for four murders' and had been on the run for 15 years was arrested today. Marco Di Lauro, 38, and fourth son of top mafia boss Paolo who ran the Italian criminal gang Camorra, was seized without a struggle while he was with his wife in an apartment in the Chiaiano district of Naples, Italian news agencies reported. The only fugitive still at large, an international arrest warrant was issued for him back in 2006. 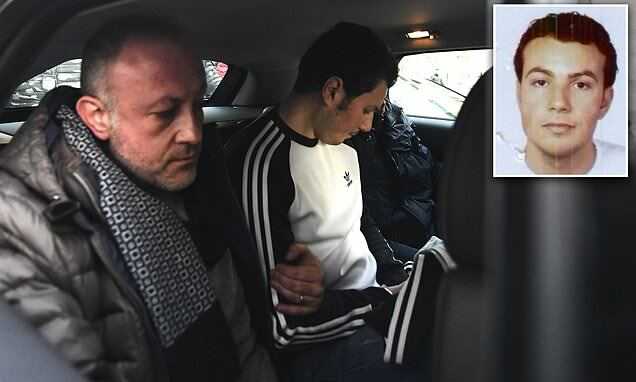 Photos in Italian media showed Di Lauro wearing a long-sleeved T-shirt being brought to the police station in Naples by car, with a police helicopter overhead.